The UP Board High School and Intermediate examination began on February 7 and concluded on March 2. 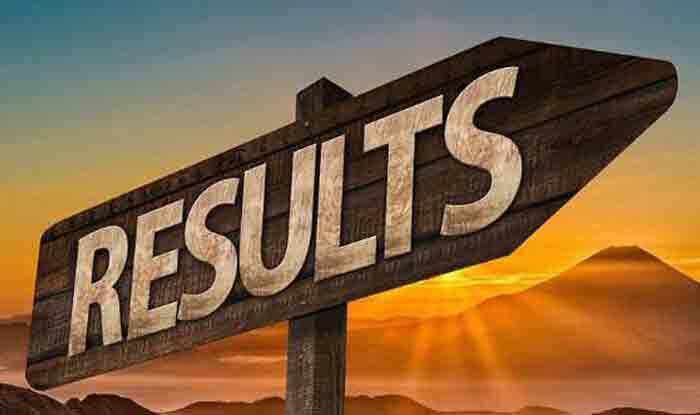 UP Board Result 2019: The Uttar Pradesh Class 10 and Class 12 Board Result 2019 are expected to release before April 20, stated reports. The UP Board High School and Intermediate examination began on February 7 and concluded on March 2. At least 58,06,922 students had registered this year for the UP Board exams and 8,354 schools were turned into exam centres, as stated by the UP Board officials. Step 1: Visit the UP Board official website- upresults.nic.in. Step 2: Click on the links which will read: UP Board Intermediate (Class XII) Examination – 2019 Results/ UP Board High School (Class X) Examination – 2019 Results. Step 3: You would then need to enter your Roll No. and School Code. Step 4: Your result will then be displayed on the screen. Step 5: Take a print out for future use. The UP Board Class 10 result and UP Board Class 12 result were released on April 29 last year. The Board officials had earlier said the results will be released earlier this year compared to last year. The UP Board had installed CCTV cameras and voice recorders at the examination centres in order to make the examinations copying-free. At least 11 lakh students skipped last year’s board examinations after the UP Board had tightened the measures to check cheating and other malpractices. As many as 1,314 examination centres were categorised as sensitive, while 448 examination centres had been categorised as hyper-sensitive, said UP Ministry officials.